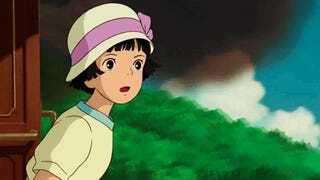 So, in all honesty, I actually haven’t seen The Wind Rises. Hell, I hardly know anything about it besides that it’s made by Ghibli and there’s an engineer and planes or something. However, I believe my quantification of the movie should still be valid enough to please everyone. Again I don’t know the real story, so I’ll just make up my own and give some opinions on it. Here we go. Once upon a time there was a dude that had a peculiar fondness for planes. No-one knew where his love for the machines came from, but it probably has something to do with the memories left by his grandfather (or father [not sure exactly which one, but sentimental interests add to any story]). One day he gets introduced to his love interest and he relays his knowledge onto her. She is enamoured and everything points to the happy future that they will inevitably share. They get together and have a child, and in the meantime he pursues his interests further by becoming a pilot and an avionics engineer. However, on one unfortunate day, a storm hits. His wife always knew that flying wasn’t the safest of professions, and was concerned by the possibility that a day where everything changed could arise. At this point you probably know where this is going, and you’d be right. This storm capsized his plane and sent him plummeting to the ground. I know this is a cause for sadness, but sometimes it just has to happen. And of course, since this is an anime, he landed on another girl, involuntarily coupling her breasts with his hands, and thus beginning his harem. By the end of it all, he’s surrounded by six different girls who all portray a unique character archetype, including his wife. However, we all know that the wife always has been, and will always remain, best girl. My opinions of the story are as follows: I think this story is great. Cliché things are great. I mean seriously, look at the incredible selection that the movie has to offer. And finally, rounding things off is this aviator and the prime conjunction between his pilot’s staple headgear and a set of Harry Potter’s finest spectacles. So we all know by now that anything that Studio Ghibli makes is bound to be remarkable. Whether that remark is good or not is up to you, but the main takeaway is that they’ll make money no matter what they do. Hell, I’ll be frank here, I bought The Wind Rises; I just haven’t invested the time to watch it yet. I’ll surely get to it at some point, but that just isn’t now. At this moment I’d like to start a sub-review in my review and review the other reviews that my AniTAY colleagues have made for this movie. Koda - 10/10 good job. Rock - 10/10 good job. S-Meister - 0/10 you’re not here as far as I can tell so I’m docking all the marks. Peter - 11/10 extra points for blowing my mind. I really thought we’d never see another genuine article about this movie; you proved me wrong. Proton - 9/10 Peter stole your mark. QRookyPoo - 5/10 good effort! Stanlick - 1/10 your’s is probably the worst one yet. Get a job. You are bad. It’s not that often that you come across a show where everything is either a hit or miss. However, The Wind Rises does just that. Whether or not I enjoy the things they write is a coin toss. The jokes are kind of funny, but they’re not well thought out enough to make a real impression on me every time. On the subject of wind, I’d like to point out that sometimes air conditioning breaks, and someone has to fix it. I would continue this joke, but I think I’ve already said enough to make a fool of myself. It really seems like they put a ton of effort into making a concrete product in the beginning, but then realized that it took too much time and effort to continue, so instead we’re left with is a bunch of fluff and run-on sentences that are merely there to lengthen the damn thing. I mean look at it, it constantly tries to break the fourth wall, but nobody is buying it, and at this point everyone is shaking their heads in disappointment. The longer it goes on the more made up and cringe-worthy it is, and it seems like the writer is struggling to finish things up, so they’re merely fumbling their words around with their words. 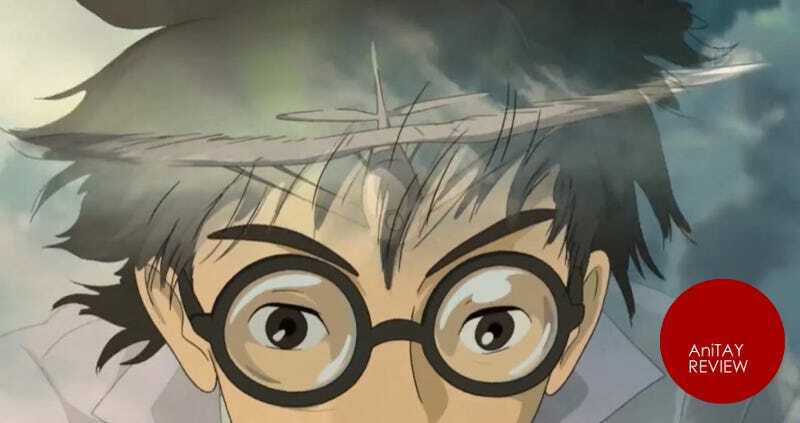 Well there you go, that’s my take on The Wind Rises. The review sucked, but hey, I’m sure someone will find value in it. Maybe more people will actually go watch the movie because I took this approach. Anyways, sorry about wasting your time, have a good day.